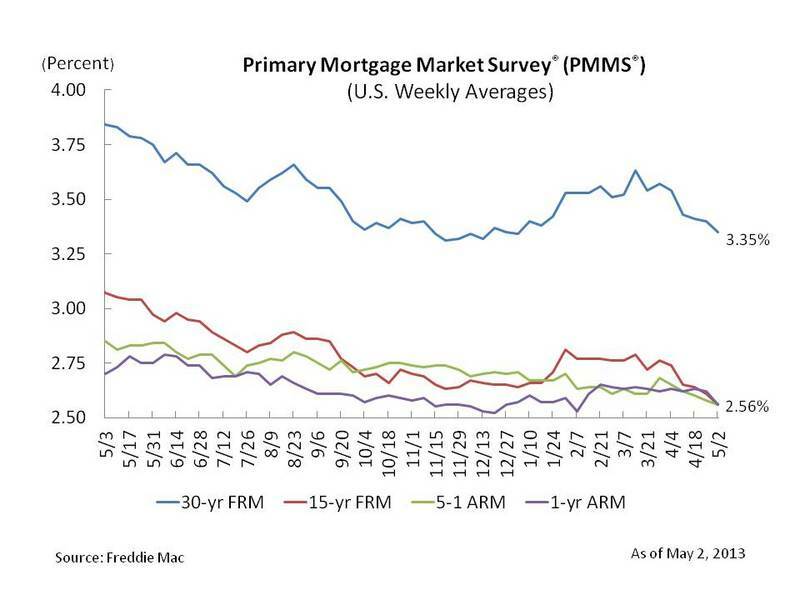 Freddie Mac reported in it's Primary Mortgage Market Survey® (PMMS®) that all four weekly averages in the report dropped, and the 15-year fixed-rate mortgage average reached a record low of 2.56%. The 5/1-Yr ARM and 1-Yr ARM also dropped to 2.56%. The 30-yr fixed-rate mortgage average dropped to 3.35%, only .04% off the record low set the week of November 21, 2012.